David Murray has no truck with the view that Australian executives are overpaid. Nor does Murray, who was parachuted into embattled financial services group AMP earlier this year to steer it out of the hurricane triggered by the banking royal commission, have any time for so-called balanced scorecards, which take into account a raft of performance measures to determine an executive’s pay. Remuneration is a perennial hot potato for directors and sometime source of frustration for investors. Last month Telstra chairman John Mullen said executive pay was the “single most difficult issue” for the directors of large companies. 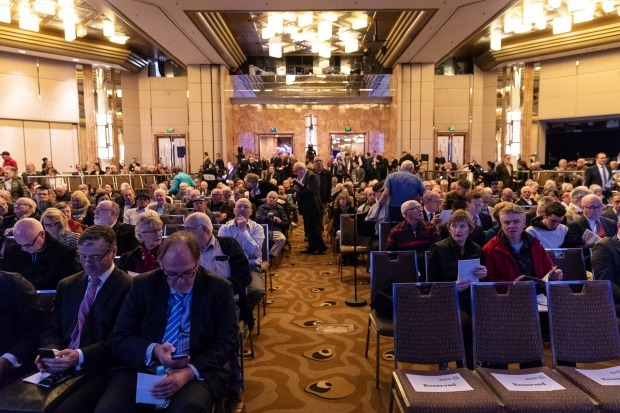 Telstra and Tabcorp were among the companies that received strikes against their remuneration report in this latest round of annual meetings, potentially paving the way for investors to force a spill of their boards. Mullen told the telecom behemoth’s shareholders that Australian executives were paid too much, echoing the sentiment expressed earlier in the year by the Australian Council of Superannuation Investors (ACSI), which calculated that median take-home pay for the top 100 chief executives rose 12.4 per cent to $4.4 million last year. Murray isn’t having any of it. Shareholders, he says, must accept that Australian companies and their employees operate in an open, global system that, by the way, has brought enormous prosperity to these shores. 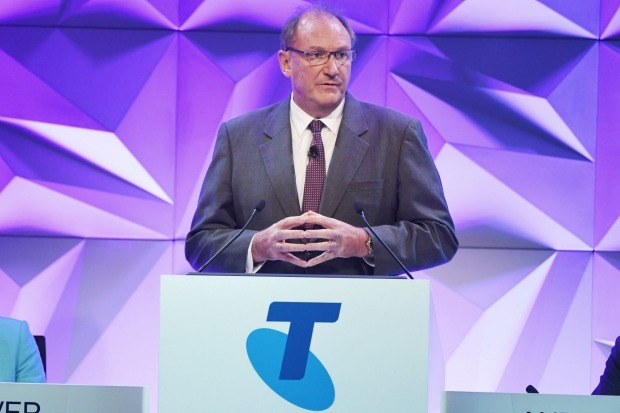 Telstra chairman John Mullen told the telco’s shareholders that Australian executives are paid too much. Murray, who chaired the financial system inquiry, is one of the country’s most formidable business people. He has a sizeable task in helping to restore consumer and investor trust in AMP, which in the Hayne royal commission was found to have charged fees for no services and lied to the corporate regulator. Good governance is critical to his mission. On the issue of pay, the AMP chair also argues the system of balanced scorecards, which is becoming increasingly popular and which uses a range of financial and non-financial targets to determine bonuses, is “not right”. It leads to box-ticking and averaging. What should replace them? Judgment. “We can’t have it both ways, where we believe in a market, and then we say: ‘But, we don’t believe in attracting talent from that market to do complex executive work’,” says Murray. “You need an experienced board that says: ‘I don’t care about a balanced scorecard. I don’t care about a whole lot of other factors. My judgment is that the basis on which these earnings are being made, while it may look OK, it’s not OK.’ And make that call,” Murray says. He might well say the same thing about the latest trend in remuneration structures, the hybrid model, where long- and short-term incentives are collapsed into a single bucket. While it is popular among the director class, many shareholders remain unconvinced. At its AGM in May, 61 per cent of AMP investors voted against its remuneration report. AMP was slapped with a strike against its remuneration report this year. In May, while Mike Wilkins was acting executive chairman and shareholders were fuming over the fee-for-no-services scandal, 61 per cent of investors voted against the report. But if shareholders think Murray is about to kowtow to them in an effort to avoid a second strike next year, they have another thing coming. AMP won’t be ticking any boxes. This year AMP lost chief executive Craig Meller and chairman Catherine Brenner. 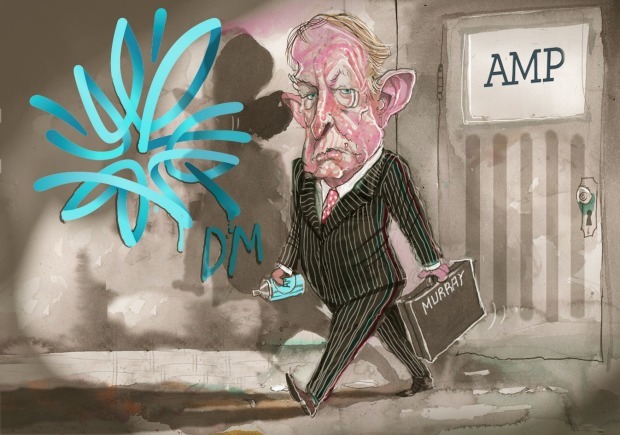 Murray has been at the helm of AMP only since June, but he has wasted no time in joining, nay leading, the public discourse around corporate governance and regulation. His willingness to make his views known is perhaps explained by one of his key motivations for taking on the chairmanship of the former mutual, which this year lost CEO Craig Meller and chairman Catherine Brenner.Murray is determined to play a key role in mopping up the financial services sector that has been so battered by the financial services royal commission. Even Coalition government ministers, who initially rejected the need for the inquiry, have come out one after the other to condemn the misbehaviour of the banks. 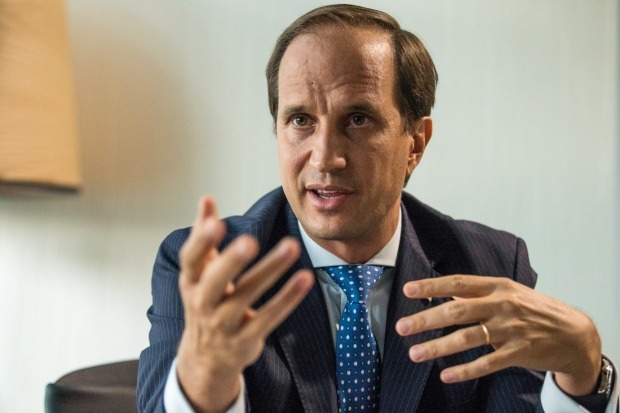 Murray says it will be up to AMP’s new CEO Francesco de Ferrari to produce a business model and decide what a viable financial advice model might look like. Murray’s desire to pick the industry up by the proverbial bootstraps is understandable. He has spent his working life in the sector. Besides chairing the financial system inquiry, he was the inaugural chairman of the Future Fund and a former chief executive of Commonwealth Bank. Indeed, he began his working life as a teller in 1966 at the bank’s Lindfield branch on Sydney’s north shore, and went on to work there for 39 years. However, Murray is less inclined to talk about AMP’s business strategy. The Sydney-based company has 2600 financial advisers, the largest planner network in the country. Late last month the group sold its life insurance business for $3.3 billion, said it would float the New Zealand wealth management arm and revealed a sharp rise in third-quarter net cash outflows, sending the shares into a tailspin. “That’s up to the [new] CEO to produce a business model. How advice is done in the future is obviously pretty important,” he says. 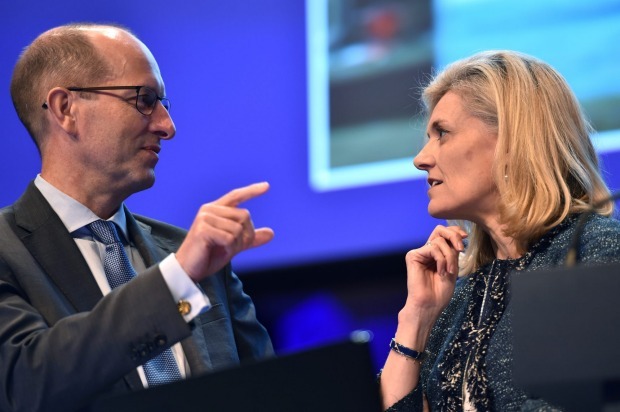 Francesco De Ferrari, a 17-year veteran of Credit Suisse, is due to start in December. That said, Murray will be highly concerned if the financial advice and funds management firm is shown to be lacking in integrity. Business mistakes are undesirable, but “the credibility of the organisation is fundamental”. The impending departure of Patty Akopiantz, left, and resignations of Vanessa Wallace and Holly Kramer will leave the AMP board with no women. 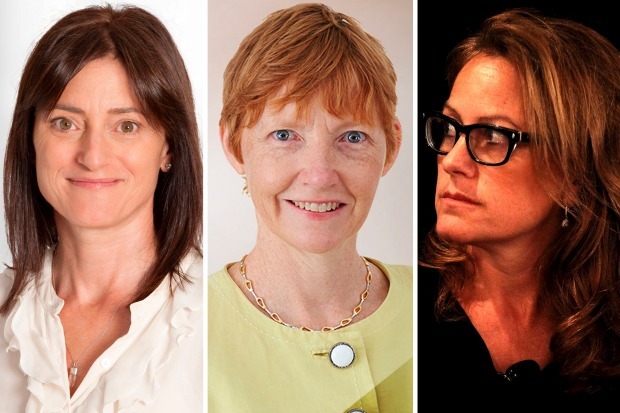 Another challenge for AMP, some might say, is the lack of women on the board after directors Holly Kramer and Vanessa Wallace resigned after the damning revelations in the banking royal commission. The third female director, Patty Akopiantz, will step down at the end of the year, leaving the board with no women. Meanwhile, the Australian Institute of Company Directors has a target of 30 per cent women for boards of ASX 200 companies and ACSI has a policy of recommending against the re-election of directors on companies with poor board gender diversity. And no, he will not be looking for women directors in particular. “We need hard-nosed business people, very experienced, who have the capacity to make judgment calls about the executive and the business. That’s what we need, whether they’re male or female. If Murray wants to take a leading role in improving governance in financial services, by his own admission there is a lot of work to do. What we need, Murray says, is more judgment and less prescription.